So, when I was ordering the calendars for Christmas from Wal-Mart`s photo lab (yes, I know, but actually the quality is pretty good at ours) I noticed something called a `Digital Photo Plaque`. I wasn`t sure what it was... but figured I`d make up a collage of my favourite 365 photos, and order one for fun. 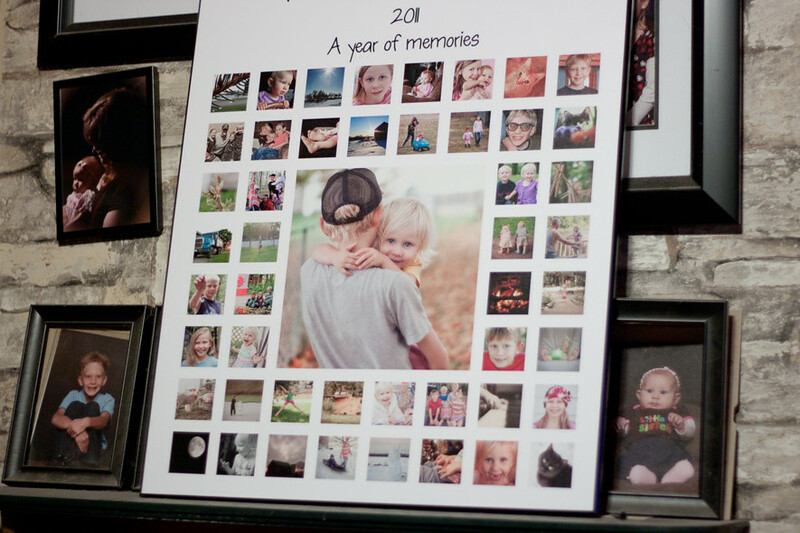 Found a great collage template through Clickin` Moms, filled it in with my favourites (four from each month, plus my favourite of the year in the centre), adjusted the size by adding some text at the top (original was 20x20) and ordered. Like, I`m so thrilled with it, I can`t stop grinning when I look at it. I know, I know, I ordered it. I knew it was 24x20. But still, you never can quite picture these things... or at least, I can`t. Wow. So cool. I love it. Worth every penny.. it looks great!